Overlooking the shimmering shores of the Atlantic, from within the sought after Lauderdale By The Sea community of Oriana is this stunning oceanfront townhome. Composed of 3 bedrooms and 4.5 bathrooms, this extraordinary Oriana residence offers more than 3,200 square feet of multi-level living space. A flawlessly designed gourmet kitchen awaits the Chef of the family with custom Italian cabinetry, SubZero and Miele appliances, a built-in wine cooler and a Cappuccino maker. Additional deluxe appointments include an expansive master bathroom with soaking tub and bidet, a spacious living room with fireplace, marble flooring, coffered ceilings, two garage parking spaces and multiple balconies showcasing spectacular ocean views. 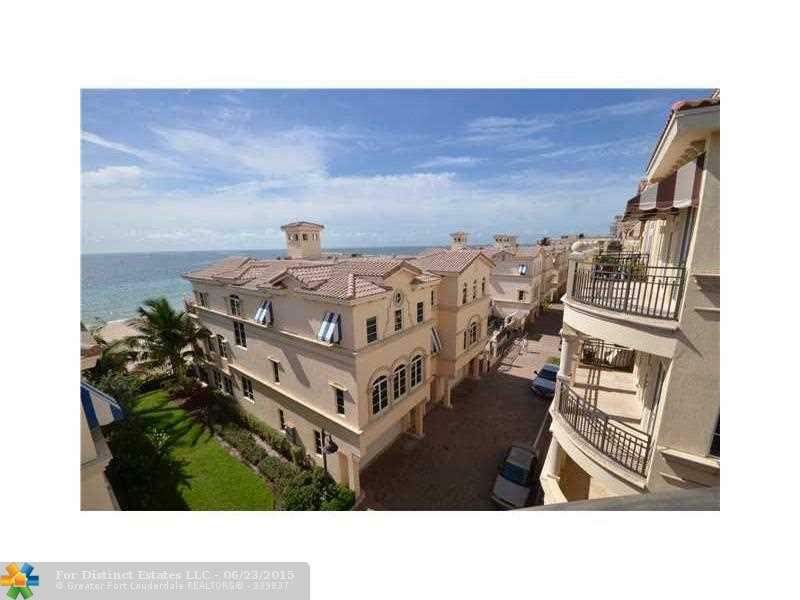 4320 El Mar Dr # 403 is located in Lauderdale By The Sea and is currently asking $1,389,800. This Oriana listing is courtesy of Coral Shores Realty Inc MLS# F1346597. Oriana is an exclusive oceanfront community of only 34 luxurious condos and townhome located in the charming coastal town of Lauderdale By The Sea. Residents of this sought after seaside community indulge in several resort-style amenities including gated entry, 24/7 security, fully equipped fitness center and a beachfront courtyard pool with spa. In addition to world-class amenities, Oriana also offers residents a premier location just moments away from Anglins Fishing Pier, restaurants, shopping and miles white sand beaches.